Stockholm’s studio spaces don’t make themselves immediately obvious. Hidden down in the city’s cellars or out in the former warehouses in the suburbs, they only come to your attention when you’ve got an invite to visit one. 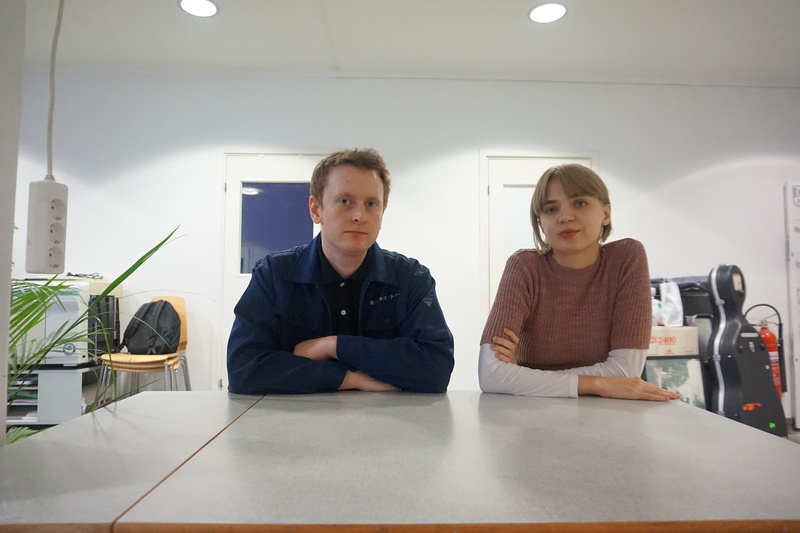 On a cold day in March, we’re heading out to one of them, Tropiska Förening, a studio collective in Örnsberg, that’s creative home to Marlena Lampinen and Linus Hillborg, two electronic musicians that also run the label Moloton. Moloton stands out as a label because of the uniqueness of its roster. 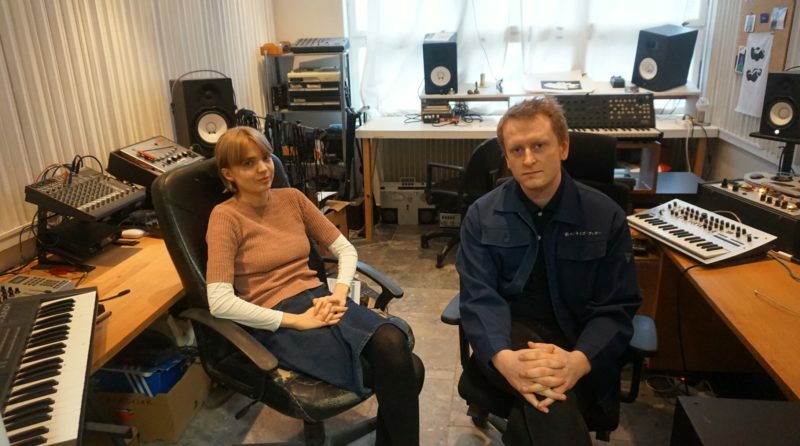 The music they release is electronic music as avant-garde art, divorced from the landscape of techno and club music around it, with musicians that write abstract compositions hat range from spectral and eerie to brutalist heavy. We went for a deeper dive into the label’s history, starting by talking to Hillborg (who records as Atonet) and Lampinen (as Mar-llena) about how it all started. Around the scene that they got involved in, a group of artists and friends built up that would eventually inspire them to start Moloton: “We started out because there was a lot of music that we liked, both that we saw live and there were people that we knew who made music we liked. And we felt that this needed to be released, and there was no-one else releasing it, so we thought we should do that. And that’s the foundation basically”, says Linus. “I would say that Masskultur [was source of inspiration], that was Martin Herterich (Sand Circles/Broken Lights), Anja Enerud (From Orphan Ann) and Henrik Söderström (Händer som vårdar). They don’t do stuff a lot anymore. But they did a lot of shows over the last couple of years, and we went to all of them, they’re friends of ours. They have been very diverse. For a period of time it was mainly noise and industrial, but they also put on some shows where they booked some very different types of music together. We were inspired by that, and thought there should be a label that does that as well”. It can’t be as abstract as the music you release? Marlena: No, which I thought is silly […] We talked about that, how everything’s become so divided in Stockholm. Like there’s this gabber scene there, who only want to party hard and fast, and this ambient scene here, that never want to go out at all. My DJ circle that only likes quirky music, that’s allergic to gloomy music. So we wanted to work as if there weren’t any groups. When you started out, were there any other labels you looked up to, as like an example of what you wanted to do? Marlena: Yeah, smaller labels like Käften which is run by Towa Isling. Also Tona Serenad Records, which is run by our neighbour and friend John Henriksson, he has helped us a lot, as he’s a veteran [in the label game]. 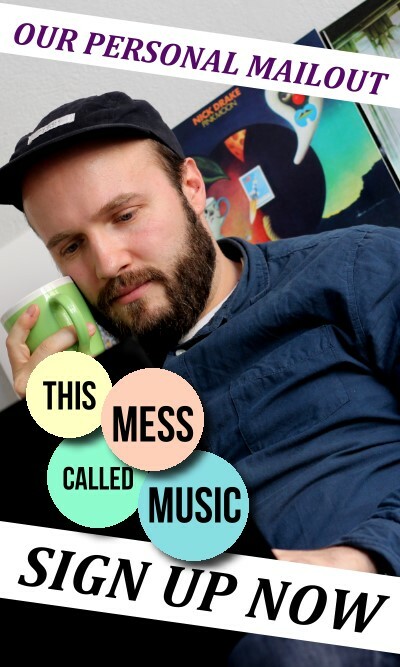 Linus: I think there are a lot of great labels that release music, but they seem to go into a niche very quickly. We felt that we didn’t want to do that. We just wanted to release things we like, and it can be a dark drone album, but it can also be lo-fi synth wave stuff as well. Just things we like. We were open to releasing bands too, we don’t want to be purists of a genre. How did you get into this form of experimental music? 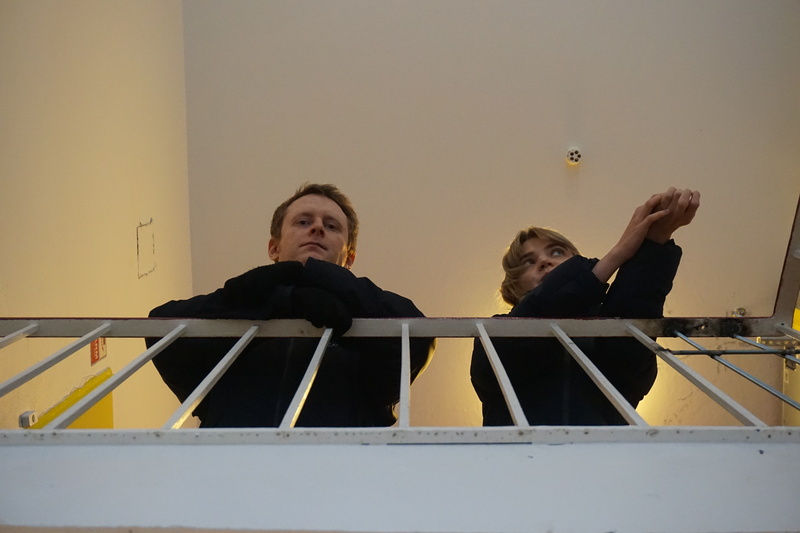 At lot came from me being together with this guy who was involved in the experimental noise scene here in Stockholm. He knew Marlena and Linus and their friends, who were also involved in the same scene. That inspired me in many ways. So it was that that got me into these groups, and made me understand I wanted to do this. When did you start to make music yourself? It was quite late, I was 19 (I’m 24 now). I had no musical background. There have also been periods when I wasn’t making music at all, so it’s still quite new, I’m quite new to the process. You and Marlena released the Vilar i dina spår album, where did the idea to work together on that come from? It came from us having a constant dialogue, and we were always sending things to one another. It was all pretty relaxed, not really super planned. So we were sending stuff to each other for feedback, and even though we have different sounds, we could find a way to find a mutual harmony. There’s almost this kind of dark orchestral vibe to your music, and what it kind of reminded me of was almost an evil version of church music. So what kind of stylistic aims do you have, when you’re making music? That’s an accurate interpretation in many ways, because I’m inspired by that in many ways. My mother comes from a Christian family, and every one of my relatives on that side have played music with more classical instruments and sung in choirs and so on. Which I admire in many ways. I’m also drawn to the gothic and the dark, and I’m inspired by that musically. So I try and combine them in a respectful way. Outside of music, what inspires you? Your music is quite cinematic. I am quite an emotional person, and I process all my social interactions a lot. So a lot is inspired by how one deals with being in society, how you interact with others. I’m maybe not actively and consciously inspired by it, but I’ve realised that on some level that’s what’s driving me. Are there any other inspirations that come into play? I’ve listened a lot to goth from England, a lot of Current 93 and those kinds of music. They work a lot with the occult and the gothic, and its relationship with Christianity, and it’s also very experimental, which gives you the ability to go outside of certain boundaries. When you’re writing music, do you prefer to write solo or to collaborate? It’s solo actually. From a political perspective, I wish I was more of a collaborative person, because I’m ideologically in favour of that, but I like to work alone really. I’m also quite bad at accepting help from others in my creative process. That’s why Marlena is a good collaboration partner, [when we work together] I don’t feel like there’s someone intruding on my process, that I need to hold anything back. What do you think of the climate for this music in Stockholm right now? Is there a good scene here, is it difficult to make electronic music in this city? The city itself restricts music overall, because there is very little space for music here. We’re sitting right now in a studio collective, but they’re going to demolish it at some point, we don’t know how long we will be allowed to stay here. And it’s the same thing with organising shows, that it’s very difficult to get venues, and it’s very expensive. That restricts music overall. But with regards to the scene, I think there’s a lot of ambition here. The only thing is it’s hard to find the space to express it. How important are places like [studio collective] Drömfakulteten? Extremely important. Even if I feel myself that I work in a different way to most people here, because I’m not making club music like them, it’s still an enormous support for us. And also the fact that it’s a separate place for women and trans people, there’s an openness and a secure space here for creativity. The first release on Moloton was Sonja Tofik’s EP Neuros, way back in 2017. “Marlena and I got to know each other when we worked in a warehouse together, as workmates”, says Tofik. “Marlena has always encouraged me to make music, and she said that she wanted to release my music, even before I had thought of it. It felt like an obvious collaboration really. I had had ideas about releasing my music, but didn’t how I would do it. So to do it with them was a secure option”. After that came more. “There were things like Nev Lilit (Siri Jennefelt of EASE and Saigon)”, says Linus, “who we asked ‘Hey, we heard you make music, would you like to make something for us?’ She had made music for a dance performance, and we heard it and said ‘this is really good! Would you like to release it as a musical release?’. And from there she came up with an artist name and the thing developed. So it’s different for everything. There were some artists already there [when we started], and some arrived after”. The music on Moloton is quite diverse. There’s definitely a style, which is experimental and abstract, but it can from weird electronica to drone to whatever else. What would you guys say are the things that define a Moloton release? What are the qualities the artists share, even though they work in different genres? What attracts you to a release and makes you want to release it? Marlena: Maybe it’s the suggestiveness. Something a bit mysterious. Linus: We’ve never talked about it actually. I don’t know if it’s a good idea to talk about it [laughs]. But for me, it’s that it has a core to it that we like. That it has something emotional to it, that makes us feel something about it. Say I’m a listener, what kind of emotional response should I feel from a Moloton release? Linus: They can feel whatever they like, we don’t have a goal for that. Marlena: I think I want it to feel a bit mysterious. Even if it’s happy, sad, upbeat, downbeat, I want it to have that special vibe. I think a lot of the music you put out is not very focused on the artists’ personalities as people. It’s more focused on the music, the people who make it are quite distant from what you offer the listener. Marlena: I think that’s because we’re nerds. (laughs) I like that though, when I search for music on Discogs or whatever. I don’t like it when I know too much about somebody. If I have their artist persona in my face all the time I think ‘blagh, this is so boring’. Linus: It’s a little out of necessity as well. If we had had the money and time to do press shoots or whatever, maybe we would have. It turned out like naturally. Marlena: I think it’s a bit weird when you have to promote your personality and private life. It should be the music only. I got so sick of it when I DJed a lot, that ‘oh, what do you do in your free time, where are your Instagram stories’, people wanting to have press photos all the time. Having a biography or whatever, I think it’s so boring. Then you get confused, wondering ‘what’s my persona, what’s my personality’. I think it’s a bit strange. I think it’s more fun to have different monikers, pretend to be things. It doesn’t have to be so serious. Linus: It’s nice thing to have this platform [where you can release in this way]. And the people who make the music, don’t have to do any of the very little marketing we do. It’s a good way to move away from the self-promotional aspect of making music, because that’s not what you want to do when you’re making music. But there’s a value to it, whether it’s cassette, USB or vinyl, some form of physical release? Marlena: Yes, and it’s easier to save also. Digital formats can be destroyed. Linus: I think it’s also based in the materiality of it, something you can touch. I think it’s a reaction to a hyper-digital era. I don’t think it’s necessarily nostalgia, but it’s that people want some materiality. Because if you release music only digitally, it can feel quite like throwing it into the ether. Linus: Exactly. That’s true. And you also have to put some money in [with physical]. Even if it’s cheap to do tapes, you still have to do a release, design it. And then it actually feels like doing something. Marlena: Also, they save it in the bomb shelter. The royal library [Kungliga Biblioteket] contacted us after the first release and said we had to send them a tape, because they wanted to put it in the nuclear-proof archive they have. So Moloton is now nuclear-proof? Marlena: Yes, everything that is physically released has to be sent to the royal library. Linus: By law. So they contacted us. I don’t know how they found us when we had just released the first tape, but they did. And they told us ‘you have to send one copy, for the archive’. Our friends got a similar request actually, and when they told the library that they had their own storage, the library responded ‘well, is it nuclear-proof’? So if there’s a nuclear attack, we’ll all die probably, but the tapes will be safe? Linus: Yeah, but maybe not the servers holding the digital releases. Marlena: That will be nice for the aliens. Linus: They’ll only find the weird stuff. With the last couple of releases, the Nev Lilit, the Vilar i dina spår record and Orphan Ann, you moved onto releasing on vinyl. So was that always the long-term goal, when you had the label a bit more established, and had a bit more money to work with? Marlena: Yeah, I think so. Through we had a fight about the Instagram name, ‘molotontapes’, because I wanted to release vinyl, which made it weird to have the tape name. It’s still ‘molotontapes’. Linus: My argument was that it could be ‘molotontapes’ and still release vinyl. But we want to continue releasing tapes as well. Marlena: It’s easier to release [tapes] fast. With the vinyls, we had such a hard time this summer, because they arrived late, and they melted in the heatwave. Linus: When we got the test presses they had melted. You also have to order a lot more. There’s more immediacy when you release a tape, because you can just do it and you will have them the next week. Releasing physically also allows for a bigger canvas for Moloton’s cover art, an important part of their visual identity which Marlena controls: “I decide everything. I studied graphic design, so now I can actually use my college degree [laughs]”. Linus: Yeah, that’s like the one rule we have. If we ask someone if they want to release with us, the deal is that Marlena will do the artwork. There can’t be a negotiation about that. Marlena: I used to do covers and posters, and I got really sick of people having bad ideas, unreasonable ideas that wouldn’t work. They can look a bit different, but there’s similarity. I think it’s a habit I have from DJing too, I hate bad album covers. I would prefer them to be boring than to have too much stuff on them. It’s silly when you read covers from the 80s, there’s like a book’s worth of info and nobody reads it, nobody cares about it. You released the debut album The Practise Of Surrender at the start of this year, but you’ve been around a lot longer than that, you released the first track almost two years ago (Предатели), and you’ve been performing for a similar amount of time. How did the Orphan Ann project get started? It started with Sofia and I being friends. We were hanging around in the same circles, I used to book bands with a collective called Masskultur. We booked her several times, and that’s how we got to know each other. We travelled to Copenhagen together and decided to start a band. I had never made music before, so she brought me into that world. Your songs tend to be these tense and detailed compositions. How does the usual Orphan Ann song get made? From the beginning, we like to improvise. We work a lot with themes, try to come up with a theme that is interested and try and come up with music that sounds like that. And when you say theme, is that the sense the song should give off? No, not really. I think the first release we did was about traitors, and this LP is about surrender. We pick a word that is interesting and we try to investigate what that is. What does the title The Practise Of Surrender, mean from your point of view? Because it is an evocative title. We talked a lot about surrender and what it is. It could be about giving up, you can give up in a way or whatever, or give up on yourself, give up on a relationship. You can even see it in this like religion, like with Islam when you learn how to surrender to God. We try to see what the word means in different ways. That’s kind of the power of the word, that there is so much historical and cultural meaning behind it? When I listen to the record, the impression I get is that the power of the music you guys make, is the way it’s able to impose emotions, feelings and atmospheres onto the listener. You listen to the record and it brings out your inner feelings and emotions, as it’s this atmospheric and heavy music. It pushes itself onto the listener and brings them into its space. Is that what you’re going for with this music? We never think about the listener when we create. But we really try to work with feelings, because making music is to us also therapy. When we meet and rehearse, I think 50% of the time we spend talking about our lives. Making music is then the next step in that conversation. How did you get involved with Moloton in the end? Marlena is one of my closest friends, we’ve known each other for fifteen years or something. We had some other labels interested, but in the end it ended up being Moloton because Linus and Marlena are friends with us, and we trust them, we trust their music taste, how they work, everything about that label is very us. How do you think the climate is for this kind of music in Stockholm now? I think it comes and goes in cycles. I think Moloton is a good sign of something getting better. You also have Kalkatraz tapes, Theo, he’s started putting out tapes. So maybe it’s starting to change. But it’s still an issue that venues are closing down, and that people aren’t putting on shows as much as they used to. But maybe the label scene is coming back. We playing in Gothenburg last week, at a Gallery called NEJD, and they put on noise shows. It was really nice, really good. Stockholm doesn’t have that kind of place anymore, so I’m really jealous of Gothenburg that they have that still. Moloton has its origins in Stockholm’s experimental scene, but over the last few years the noose has started to tighten on the city’s space for this kind of art. Experimental electronic art music is many things, but it’s not a commercial force. 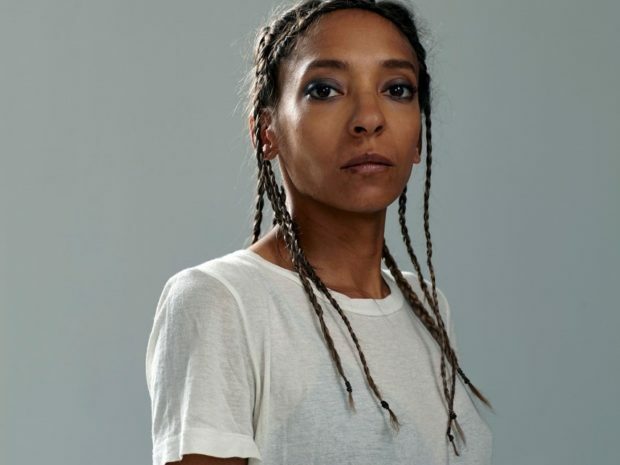 That means in Stockholm, a city that’s gentrifying fast with many of its buildings and neighbourhoods hunted down by start-ups and apartment developers, finding space for art for art’s sake, and even just nightlife, is getting tough. “There are things like Drömfakulteten, which is a hub of extreme creativity, many different people sit there”, says Linus. 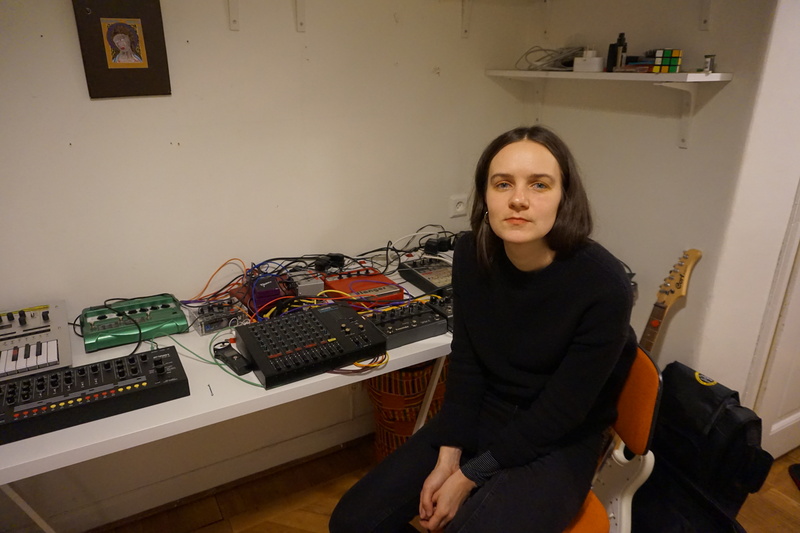 “And also there are labels like XKatedral and Kalkatraz Cassettes for example, that are active here at Tropiska Föreningen, and arrangers like Kuggljud. But I feel like over the last couple of years, the experimental scene has dispersed a lot. You don’t see club and dance music booked together with ambient shows as often as before. And there aren’t really good spaces to do DIY shows anymore”. Marlena: There’s just Fylkingen, and that’s great, but it gets fully booked very far in advance. Linus: The DIY spaces that are there are very focused on dance and club music. And I like that kind of music, though I don’t really like to dance. I love going to clubs, but it wouldn’t be so easy to book one of those places to throw a night of mainly [experimental music]. How important are spaces like this one? These studio spaces in old factories? Linus: Where else would we be? You also mentioned that you couldn’t really have shows here anymore, since the apartment blocks moved in next door. Are these spaces in the city disappearing a bit? The DIY zones disappearing? Linus: Absolutely. There are none. Before there was stuff like Solna HQ, Hemliga Trädgården, stuff like Reflexen, there were more places you could do a show spontaneously. Marlena: Commercial and non-commercial places are being closed down. For instance, [clubs] Marie Laveau and Rökridån closed down recently. It feels like people just want to have a cosy apartment in the city, with nice restaurants. Linus: The people who move into the city now don’t actually seem to like city life. They don’t like diverse culture. Marlena: I think in southern Stockholm only [clubs] Under Bron has a late permit, maybe Slakthuset. And I know that they’ve had trouble with their neighbours in new apartments. Linus: With DIY spaces, aren’t a lot to choose from anymore. And that’s been a fast development. So now it’s harder to put on those kind of shows, with diverse types of music. To go back to what you were saying about live stuff. It is difficult to set up shows and to find venues for the kind of music you put out? Because it doesn’t seem to fit band venues or clubs, as it’s almost more art performance when they play it live. Marlena: Yeah, especially stuff like Orphan Ann, because they’re such a performance. And I worry that people are going to be rude. But we had a show at Under Bron, and that went really well. We mixed it with DJ sets, and the other bands were more upbeat, so you had a nice mix. Linus: But you do have to think about that when you book at clubs, that it’s a commercial venue and there’s an entrance fee, and there might be other people there that are not interested, who might just want to dance and be drunk. So it’s a shame that there aren’t more spaces like that. More alternatives. 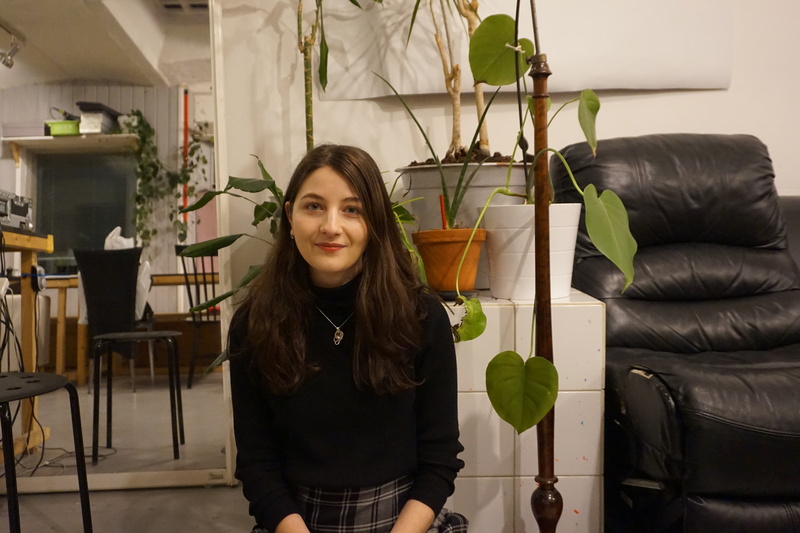 Marlena: I think you can mix club and ambient stuff, you just have to not care what people think. Maybe have the performances in a smaller room. Though then people think you’re rude! ‘You have to invite everyone!’ Why? Most people won’t like it. I think it’s tough in a club, because music like this needs some silence from the crowd. It’s not like club music that can overpower a crowd’s noise. The ambient stuff can be ruined by people talking. Linus: That’s the difference I think. You can mix ambient at a club, but it’s better at a venue where people know what to expect from the artists. We want to do more live shows, and we would have if there were more spaces for them, like there were before. Linus: I think I just want to keep releasing things we like. We have a small crowd that likes the stuff we do, I think we have like one person in Romania that orders our tapes, a couple of people in Japan, and so on. A small percentage of the whole world. So we just want to continue, and have the economics of it work so that we can continue doing releases. No specific goal I think. I’m also thinking about releasing a computer game, an ambient computer game under the Moloton label.